After spending their first 51 years of existence in the National League, Houston made the shift to the American League West back in 2013; and it seems that since the move, they’ve churned out kids like a prospect factory. At the catching position, Houston has Jake Rogers and Garrett Stubbs sitting in their current top 30. After this season, I believe 2014 draft pick Jamie Ritchie belongs in the discussion with Rogers and Stubbs. Ritchie was a 2014 draftee out of Belmont University (Nashville). In three years for the Bruins he batted a career .249, but as a pro he’s yet to bat below .276. The 6’2″ – 205 lb. righty debuted with Short Season Tri-City; and in 47 games, he ranked fourth in the New York-Penn League in batting (.331) and second in on-base percentage (.455). Ritchie began the following season with LoA Quad Cities. In only 72 games with the River Bandits, he drew an astounding 70 walks to only 54 strikeouts (registering a PAG/APPA of 3.40/.734). He received a well-deserved mid-July promotion to HiA Lancaster, staying fairly consistent with a 3.10/.738 P/A with a 25:27 BB:K rate. It’s obvious Ritchie doesn’t strike out often, as evident in a near even career 1:1 BB:K ratio (182:190). In 257 career games he carries a robust .417 on-base percentage and one thing pundits cannot say about Ritchie is how his bat has benefitted from the high-octane California League. He’s hit everywhere he’s gone. I think Ritchie has the chance to begin 2017 for Double-A Corpus Christi. If he sustains his consistency, it will be difficult for mainstream prospectors to avoid talking about him. When putting together my own fantasy roster or when people come to me for advice on how to put together a fantasy baseball roster, the two primary suggestions I make are: 1.) even out your roster depth; and 2.) create as high-floor a roster as you can. One thing Jim and I see over and over again during our UTR OAS research is extreme/quality depth or very low floor at certain positions. At first base, the Astros possess both bits of that advice. They have depth and the floor is very high. At the major league level the Astros have recently signed Cuban Yulieski Gurriel pencilled in at first while 2013 – 33rd rounder Tyler White sits directly behind him on the depth chart. Houston still has A.J. Reed in the fold and they recently released former top prospect Jon Singleton. I think you get the idea. The variance between my top first basemen numbers was very minute, but one thing was clear, Taylor Jones was a concrete OAS choice. Houston drafted the gargantuan (6’7″ – 225 lb) righty in the 19th round out of Gonzaga University this season and assigned him to Tri-City of the New York-Penn League. He led the league in games played (70) and was among the leaders in doubles, homers, walks (32) and total bases (105). Despite his size, Jones is a contact-first type hitter. His average suffered a bit due to some adjustments to his swing, some scouts say there’s plenty of power to come to match his contact ability. Jones is a true sleeper in the system and could see a big stock boost if he displays his power with a promotion to LoA Quad Cities next season. Let’s do some simple baseball math. The Houston Astros + second base = Jose Altuve. I mean, let’s be serious. Altuve is one of the game’s top players, let alone top second baseman. He’s a four-time All-Star, three-time Silver Slugger and has won two American League batting titles in the last three seasons. (2014 and 2016). This leaves plenty of time for the minors second base position to take shape for the next several years. Ryne Birk came to the Astros out of Texas A&M in this years draft. The 5’10” – 185 lb. lefty posted a three-year batting average of .296 for the Aggies and didn’t skip a beat upon becoming a pro. He was assigned to Short Season Tri-City posting .287/.393/.441/.834 slash line while logging a .984 fielding percentage. Birk received an early August promotion to LoA Quad Cities batting .323 with an .860 OPS in seven games. Houston drafted a bat-first player in Birk and hope that he can build upon a successful two-level pro debut. Others in consideration for OAS were DSL Orange 17-year-old Emmanuel Valdez and 2015 – 32nd rounder out of Georgia Southern, Aaron Mizell. During the recent MLB Winter Meetings, several clubs reached out to the Astros asking for Alex Bregman in trade talks. Possibly the most notable was the White Sox suggesting Bregman in a deal involving superstar Chris Sale. Houston retorted with a resounding “No chance” and rightfully so. Bregman is an absolute stud, is poised to play his first full season in the majors and should cement himself as one of the brightest young stars in the game. The Astros third base situation is similar to second base with Altuve; and will be the same with shortstop, as Carlos Correa should man the position for the next 10+ seasons. However, the minors keep rolling along and 2014 – 14th rounder Nick Tanielu‘s 2016 helped him capture this year’s OAS crown. The 5’11” – 215 lb. righty led all Astro minor leaguers with 145 hits while logging time at two levels. Now, I’ll admit, Tanielu still has some work to do and it shows in his numbers. In his 35 HiA games, he posted a PAG of a point and a half higher than that of his Double A number. Overall, he had a good season, but I predict Tanielu will spend all of 2017 in Corpus Christi in hopes to climb closer to a 3.00+ PAG number. Much like Ryne Birk and Jose Altuve at second, Nick Talielu and Alex Bregman at third, this year’s Astros OAS shortstop choice Osvaldo Duarte happens to be in the unfortunate position of looking up at another superstar in Carlos Correa. The 22-year-old former #1 draft choice has made a lasting impression as one of the most promising young sluggers in the game. This is the only roadblock Jim and I run into really. Unless something out of the ordinary occurs, sifting out UTRs is almost a mute point when you’re faced with this type of circumstance. But as a fan once said to me, “UTR is like the stock market. You sell when a great kid is hot and buy when they’re not.” This brings me to the 5’9″ – 160 lb. Dominican Duarte. This is a kid that as long as he’s playing in a system behind a bona fide superstar, his stock will always be low simply based on his opportunity. All I can say is Duarte has been a steady producer since his debut in 2014 where he combined to score a 3.60/.733 PAG/APPA for the DSL Orange and GCL Astros. In 2015, he spent the entire season with Rookie Greenville, slowing down a bit to the tune of a 2.92/.718. In his first two seasons he combined to hit 4 home runs and 23 doubles. It seems the light switch came on this season. He led all prospects HiA and down in doubles and triples. I predict Duarte will spend all of 2017 in HiA Lancaster; and if so, we’ll see how much the high-octane California League helps pad his numbers, as he carries a three-year PAG/APPA average of 3.16/.735 to the table. When reviewing Astros outfielders for this year’s Organizational All-Stars series, it was a stark reminder of why Jim and I created the “Breakouts/Ones to Watch.” Running my numbers, there were four incredibly worthy candidates with not only close fundamental stats, but PAG/APPA and defensive similarities as well. So, my Astros left, center and right fielders will be listed here and my fourth will certainly be my next Houston Astros “One to Watch” choice. The Baltimore Orioles drafted 5’11” – 175 lb. Johnny Sewald out of Bishop Gorman HS (Las Vegas) in the 34th round in 2012, but the lefty slugger chose to honor his commitment to Arizona State University. In 138 career games with the Sun Devils, Sewald batted .308 and a .419 on-base percentage. The Astros like what they saw and drafted him in the 14th round of the 2015 draft. Sewald debuted with Short Season Tri-City, batted .289 and led the New York-Penn League with 57 runs scored, 31 stolen bases and 46 walks. This was more than enough to earn a promotion to LoA Quad Cities to begin this season. In 29 games with the River Bandits, he saw a big dip in batting (.219), but still posted a 3.07/.695. 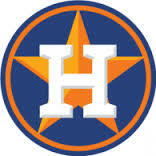 The Astros promoted Sewald to HiA Lancaster in mid-May. And as expected, he saw inflated production, but overall, his numbers were fairly close to his career average. Despite playing only 79 games, he still finished in the Cal League top 10 in stolen bases (23) and on-base percentage (.391). In analyzing Boyd and left field OAS choice Johnny Sewald, they could have easily been interchangeable. OTR OAS is bat-driven and when running the numbers, I had to put Sewald somewhere. He logged 30 games in left this season, but Boyd, a 2014 – 8th rounder out of West Virginia University, appears to possess more of the centerfield calling card. Boyd began 2016 with HiA Lancaster. In only 80 games, Boyd ranked in the Cal League top 5 in triples and his 33 stolen bases ranked second behind Colorado’s Wes Rogers‘ 43 swipes. The lefty swinging Boyd received an early August promotion to AA Corpus Christi and as would be expected, his numbers dipped tremendously. Anyone who knows prospects and the trek they take through the minors, it’s no secret that Double A is the litmus test of whether some can pass at the highest level. I expect Boyd to face his toughest challenge this season by playing all year for the Hooks. I think he will always be on the outside looking in, but a real good year in the Texas League could seriously boost his prospect status. Tucker rounds out the UTR OAS list and he should. Honestly, there really isn’t much more I can can say that hasn’t already been said. There’s nothing to dislike in the 2015 – 1st rounder’s game. Tucker currently sits at #50 on MLB Pipeline’s current top 100 and is the Astros top overall position player prospect. He’s as pure a hitting prospect in the American League West and could see Minute Maid park as early as late 2018 or early 2019. Are you shittin’ me? Talk about Astro hitters and no mention of Martin who hit 23 HR’s, tie for the most in the Astro system. Somebody didn’t do their research. I appreciate your comments. Thanks for reading. The goal of what Jim and I do is to talk about the majority of the kids that are not getting all the headlines. We aim to raise the prospect floor, not just raise the already high ceiling the Astros possess; with kids like Martin. I agree. he had an absolutely tremendous season. But the point of our work is within the name “under-the-radar” which Martin is not. I analyze each position carefully and (left fielder) Martin received plenty of pub for his 2016 season. In fact I believe Martin sits atop the LF ranks. I enjoy the feedback. A centerfielder like Bobby Boyd is under the radar for posting prototypical CF numbers. I’m not disputing what Martin did. My OF choices are all kids people rarely talk about and that’s why I chose who I did and why. To get people talking about someone other than the top prospects at their respective positions. I get it. I was cool with the article until I got to K Tuck. This baller is definitely not “under-the-radar”. He gets more pub than almost any Astro. Last I checked, Martin is a CF. Played some LF, played some RF, but mostly CF. Check MILB.com. This discussion achieves our mission of the website. To talk about prospects and those who are and aren’t getting the pub based on earned production, path, age/level, offensive calling card, etc. I love when people post comments. Gets the prospect juices flowing, keeps our work on check and fans like you engaged. Despite the ‘under the Radar’ name, we aim to ensure the ‘notspects” are on it. I dig the discussion. Thanks for the feedback. Thank you for reading and chiming in. We don’t always get it right. We miss some kids, sure, but the aim of our work is getting fans just like you talking. Some fantasy players only know those top prospect lists. It goes deeper than that and our work is designed to prove that. Thanks once again Baller.